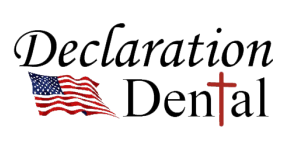 Welcome to Declaration Dental, a dental office in beautiful downtown Monticello, Indiana. Dr. Mark A. Riese and Dr. Scott I. Lutz and their highly trained team are here to make your experience a pleasant one. Our mission is to show the love of Christ by offering dental relief to those in need. Since moving to our new location in the fall of 2011, Declaration Dental has built a strong foundation not only in the services offered, but to help eliminate fear and panic one has. Isaiah 28:16 states this, "So this is what the Sovereign Lord says: 'See, I lay a stone in Zion, a tested stone, a precious cornerstone for a sure foundation; the one who relies on it will never be stricken with panic." We offer services in General Dentistry for both children and adults, including Orthodontics, TMJ/Headache relief, and Implants. Our team is there with you every step of the way. We are here to give you the "Best Care In History!" Stop by to see us or call (574) 583-5042. We would love to hear from you.